World-renowned blue whale researcher; Michael Fishbach, will present riveting lectures which include history, education facts and stories from the field to go along with some truly breathtaking videos and images of whales. Michael has been studying and working to protect the endangered blue whale for the past 25 years. He continues to pour hundreds of photo identifications from this Mexican stock into the Northeast Pacific blue whale catalog, helping to increase knowledge and individual life stories on this best known sub-population of blue whales. See compelling, up-close photographs of the world's largest animals, the great whales. 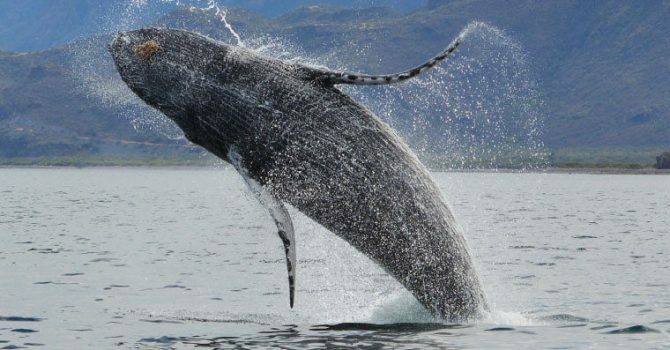 See these giants jumping, feeding, diving, and swimming on the majestic Sea of Cortez off of Mexico's famed Baja California Peninsula. Reception: May 10, 2018 from 6:30 p.m. to 8:30 p.m.